Exquisite 4 BR, 2.5 BA with over 3000 sq.ft. sprawling custom home on quiet cul-de-sac. 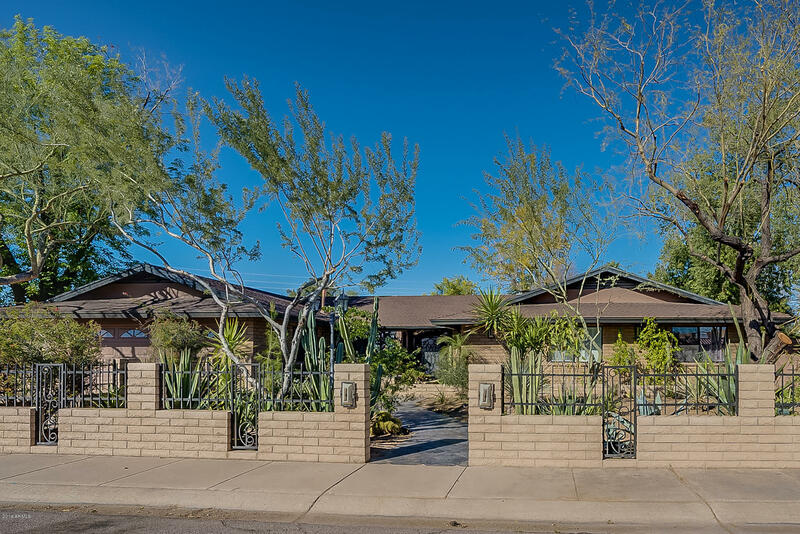 Home on an oversize lot with 2 car garage and RV gate/parking- you will not want to pass this opportunity up!Relax in the serene tropical back yard with sparkling pebble tec diving pool,a soothing fountain and lemon, pomegranate, peach and avocado trees! Backyard also comes with 2 patios complete with built in BBQ and misting systems. This home is perfect for entertaining guests! There is also a cabana area complete with sewer, water and electric. Kitchen includes GE Monogram gas stove top and convection oven, Sub-zero refrigerator, slide out shelving and multiple pantries/ commercial rack system, sleek granite counters, upgraded fixtures, and extensive red oak cabinetry throughout home. Ample closet space in bedrooms with red oak flooring and solid red oak doors throughout. Master bath has vanity dual sinks, jetted soaking tub and granite counter-tops. Skylights in master bedroom and hall bathroom. Gas heat, stove, water and dryer hookup. Wood burning fire place and overhead projector/screen/ 3 amplifiers in living room to convey. Patio TV and all outdoor speakers to convey. Home also complete with security system. Additional home features found in document page.